The odorous house ant gets its name from the strong, rotten coconut like smell it gives off when crushed. 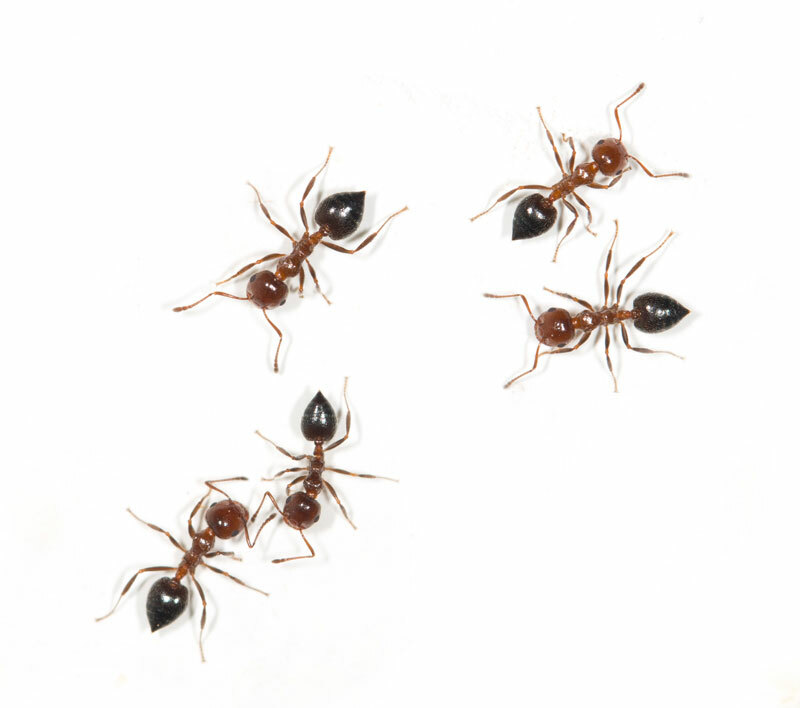 These tiny brown ants range in size from one-sixteenth of an inch to one-eighth of an inch long. Odorous house ants like to eat sweets and are especially fond of honeydew. They are known to move their nests every three months or so in response to rain. Indoors, odorous house ants nest near moisture sources, such as wall voids near hot water pipers, in heaters, beneath leaky fixtures and inside wood damaged by termites. 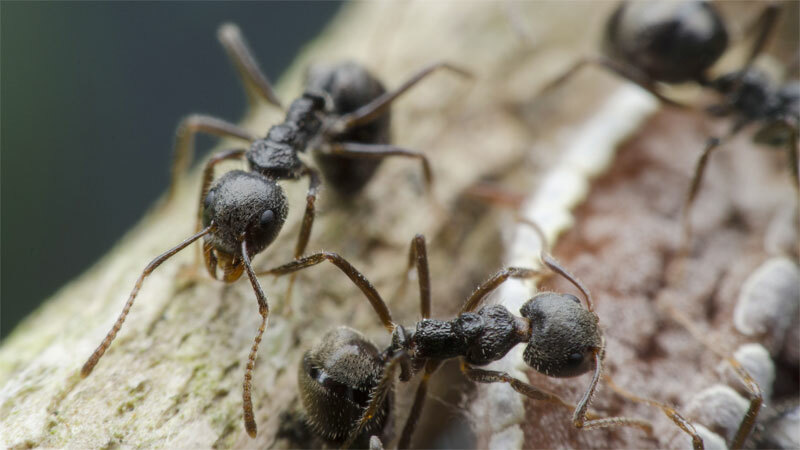 Outside, odorous ants are often found in exposed soil or under stacks of firewood. Odorous house ants do not pose a public health risk, but they can contaminate food and should be avoided. 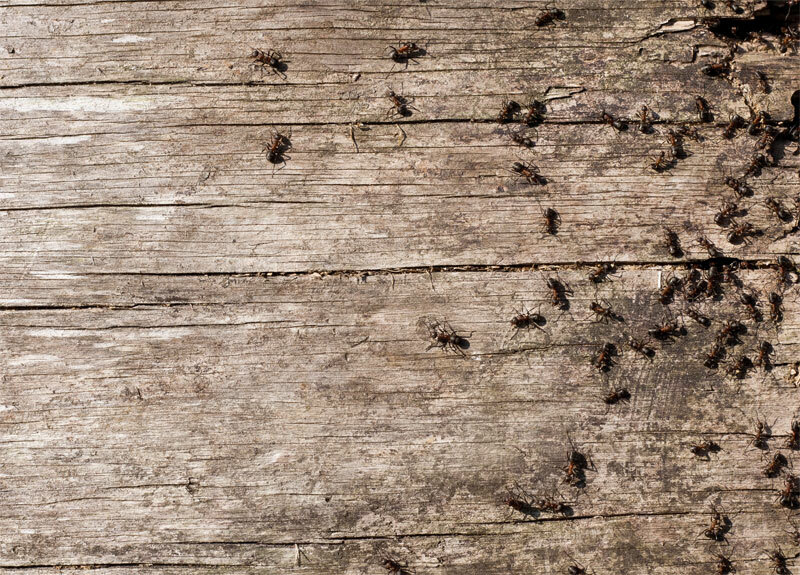 If you notice signs of odorous house ants, contact a professional immediately to discuss a proper course of odorous ant removal. Pavement ants get their name because they make nests in or under cracks in pavement. These dark brown to black ants can also infest structures. These black ants will eat almost anything. Pavement ants have been known to consume insects, seeds, honeydew, honey, bread, meats, nuts and cheese. They forage in trails for distances of up to 30 feet and are known to climb masonry walls that enter into occupied areas. In buildings, pavement ants are most likely to be found in ground level masonry walls, but they also nest in walls, insulation and under floors. Outside, these black ants typically nest under stones, pavement cracks and next to buildings. These black pavement ants do not pose a public health risk, but they can contaminate food and should be avoided. Moisture ants will invade homes from nests in the yard while foraging for food. Occasionally, an outdoor colony will relocate inside in the bathroom or kitchen where a water leak is present. This ant often carries soil into the building which it uses to construct a carton nest. Carton nests resemble hard clods of soil and may be fashioned around a water pipe or onto a wooden sill plate or wall stud. The correct name for moisture ant is actually the cornfield ant. This species most commonly nests in the soil of lawns and fields. Once inside, nests are typically established near water leaks, hence the nickname "moisture" ants. The appearance of this ant inside homes most commonly occurs in the Pacific Northwest states of Washington and Oregon, although the cornfield ant is found throughout the north and midwest parts of the country. Velvety tree ants get their name from a glistening abdomen comprised of dense, fine hairs. Two species may infest structures: the red and black California velvety tree ant (red thorax, black head and abdomen) and a second, entirely dark brown species. The size ranges from 0.13 to 0.25 inch (36 mm) long, depending on which of the two species is encountered. Workers, when crushed, give off a distinct odor similar to that of an odorous house ant. Velvety tree ant infestations resemble those of carpenter ants. They are capable of mining wood, only to a lesser extent. They also infest foam insulation. The nests are usually located outside a structure. A colony of these ants may have many queens and numerous nest sites. Velvety tree ants form trails into buildings for nesting purposes, but typically are not seen around human or pet food. They primarily feed on honeydew and insects. Argentine ants deposit trails of food continuously, instead of just from nest to food source. This habit ensures they do not waste time revisiting the same area for food. Argentine ants prefer to eat sweets, but they will eat almost anything including meats, eggs, oils and fats. Argentine ant colonies are located in wet environments near a food source. Outdoors, they usually build shallow nests under boards or stones, beneath plants or alongside sidewalks. Argentine ants may seek shelter indoors when it becomes too wet or too dry outside.